Aphasia is a language deficit that occurs as a result of damage to one or more of the speech areas in the brain. There is more than one speech area in the brain, and the exact location of damage from a stroke determines the pattern of speech loss. Speech areas of the brain are located in the dominant hemisphere, which is half of the brain opposite your dominant hand. Transcortical aphasia is one of the less common types of aphasia. The more common and well-known forms of aphasia, Broca's aphasia, and Wernicke's aphasia, result from injuries to areas involved in the production of speech (Broca’s aphasia) or the comprehension of speech (Wernicke’s aphasia). Other, less common language deficits can also result when there are injuries to the nerve fibers that carry information between the Wernicke's or the Broca's area, or between these areas and other areas of the brain that process the subtle aspects of language, such as emotion, vocal tone, thinking and facial expressions. This language disorder is similar in many ways to Broca’s aphasia, which is primarily characterized by trouble producing spontaneous speech. In essence, people with transcortical motor aphasia cannot say what they want to say because they can’t form the words. However, if someone who has Broca's aphasia is asked to repeat something, they can do it without difficulty. For instance, a person with Broca's aphasia would have difficulty spontaneously saying “I am thirsty." However, it is easier for someone with Broca's aphasia to repeat the sentence “I am thirsty” if asked to do so. Mild transcortical motor aphasia can produce a form of hesitant speech known as telegraphic speech. Transcortical motor aphasia is typically caused by a stroke located nearby Broca’s area, just to the front of it. Stroke survivors with this rare type of aphasia cannot comprehend what others say but can speak fluently. Someone with transcortical sensory aphasia is able to repeat words or sentences that they hear others say, but cannot understand what those words or sentences mean. For instance, if your loved one has transcortical sensory aphasia, then when hearing a phrase such as, "are you home?" they might repeat a part of the question and say “you home” or respond to the question with the same phrase “are you home? "This type of aphasia is caused by injuries to areas of the brain which surround Wernicke’s language area, an area that plays a major role in comprehending and understanding language. Mixed transcortical aphasia results in a speech pattern characterized by the inability to speak or comprehend others when they speak. However, with mixed transcortical aphasia, it is usually possible to repeat words or sentences and sing familiar songs. In this rare type of aphasia, the main areas of language (Broca's and Wernicke's) are not typically damaged, but the surrounding areas, also known as the language association areas, are injured. It is thought that damage to these association areas leaves Broca's and Wernicke's areas somewhat isolated from the rest of the language system, thus precluding the production of spontaneous speech and the comprehension of spoken and written language. The most common cause of mixed transcortical aphasia is a watershed stroke of the language association areas as a result of severe internal carotid stenosis. Aphasia is one of the most difficult disabilities to live with after a stroke. 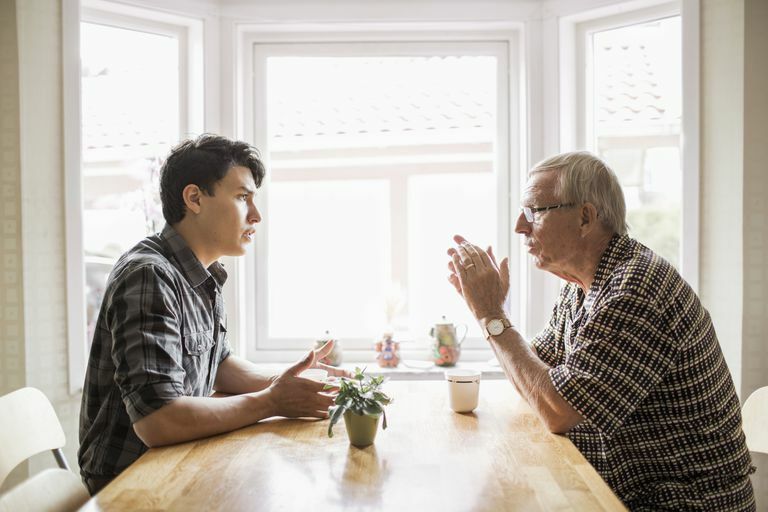 There are several different speech patterns that can develop after a stroke, and they all make communication difficult, and possibly frustrating for a stroke survivor and loved ones. Living with aphasia requires patience, as does caring for a stroke survivor who has aphasia. There are several approaches to speech therapy which can help improve speech and communication to help optimize daily life after a stroke. Be sure to convey your concerns about your speech problems to your medical team so that you can be directed to the best rehabilitation available to you, which may help in improving your overall quality of life as you recover from your stroke. Mixed transcortical aphasia: a case report, Rosca EC, Simu M, Neurol Sci. 2015 Apr;36(4):663-4.